I love outside lights and especially solar lights. I have the solar lights in my yard to light up the area and a couple of the security lights - which includes this one. What I love about it is that it comes on quite bright and is simple to use - just afix it to your wall and as long as the top part has sunlight, you're done. We had an issue last year with someone coming into our yard at Christmas and destroying some decorations. Hopefully the security lights will help with that because if they'll come into your yard for that, what else might they do? It has up to 12 hours of light after a full charge and the sensing range is 10 feet with a 120 degree sensing angle. 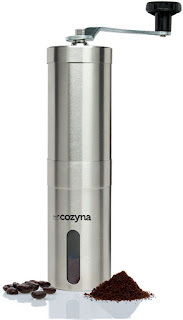 It's affordable and easy to use so what more could you want in a security light? It's not the biggest but it works great for what we need and we're very pleased with it. I received this item free or at a discount for my unbiased review. If you're getting a tax refund in 2016 then you definitely want all of the information you can get on how to get a bigger IRS refund. Many times, people don't realize all of the deductions they can take and it turns out that they are missing out on money that they are due. Luckily, you can find out some of the common deductions that can be taken but are often missed when taxpayers file their return. There are plenty of these deductions such as a home office or charity but to see the entire list you'll have to check out the link I plan to provide. It's as easy as just checking it out and seeing if you're missing anything. If you do your own taxes to save money then you definitely want to be sure you're getting every single cent possible. Take a look at these common ways to get a bigger IRS refund and make sure that you get everything that you deserve. I know, we just got back from New Orleans but I have already found a vacation for 2017. It's a cruise to Amber Cove, Dominican Republic and Grand Turk, Turks and Caicos. The Amber Cove port is a new one that is opening up in October and is right next to Puerto Plata which is where part of the first Jurassic Park is filmed. I can only hope that Amber Cove actually has tiny insects in amber that I can buy for a cheap price. Anyway, check out the cruise. It may be the first day of Fall but tax season is just around the corner and will be here before you know it. If you're like many people, you're already planning for your tax refund in your head. However, without having an idea of what you'll get back, you can't really plan for the future. Fortunately, you can find 2016 refund calculators and gauge how much your refund might be. While it's not an exact science, you can at least get a good idea so you can start planning. There are two websites that can calculate your 2016 tax refund and this is especially helpful if your situation and job has not changed since the previous year. Check them out if you're curious and if you're like me and expecting a refund - you know you want to find out. I love oils all things to do with make-up - in fact, if it has to do with skincare, cosmetics, personal care, lotions, etc then I want to try it. About a year or so ago I discovered different oils like Argan Oil and most recently, Leven Rose Jojoba Oil. Now mind you, I've used Jojoba Oil found in suntan lotions in the past since I live in Florida but I had never tried it by itself. Leven Rose is organic and 100% pure, cold pressed, and unrefined and that makes a huge difference. It has so many benefits such as using Jojoba Oil for hair, for your skin, your lips, and more. I mostly use it for my skin and hair. I have dry hair and I like the shine and moisture it gives me. As far as my skin, I have dry skin too and this is natural and feels wonderful. There's really no strong scent and to me, it's not as greasy or oily as Argan Oil. I use a lot of different products on my face at night but when I'm lazy or in a hurry I use this along with on my skin and just save some time. So far, I love it and I don't anticipate that changing. I received this product for an unbiased and honest review. I use each product personally that I review. This works great for what we need. Sometimes we buy KCups, sometimes we buy ground coffee, but sometimes we like to buy coffee that only comes with the beans not ground. I've had the electric grinders before but they tear up easily. This works great and doesn't have to use electric equipment to run so you can use it any time. It's attractive too; I put it on my counter top and it looks nice enough to sit there even when I'm not using it. 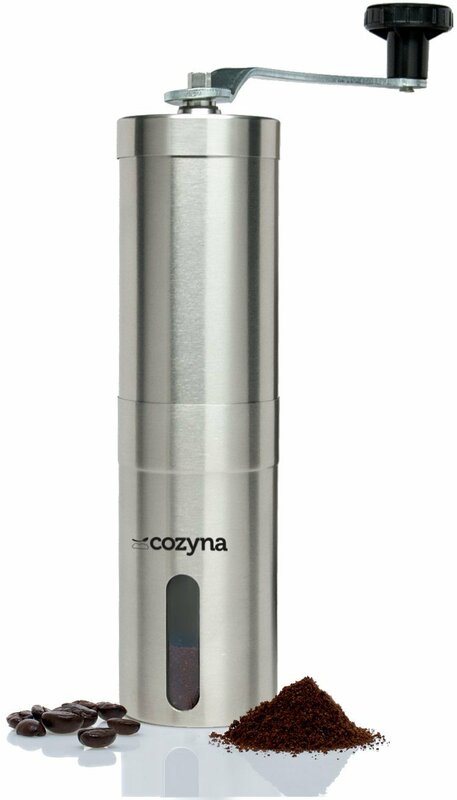 I'm really satisfied with the Cozyna Ceramic Burr Manual Coffee Grinder.